Yarn Type A robust, hard wearing yet soft 100% wool yarn. It is machine washable and therefore lends itself perfectly for knits for all the family. 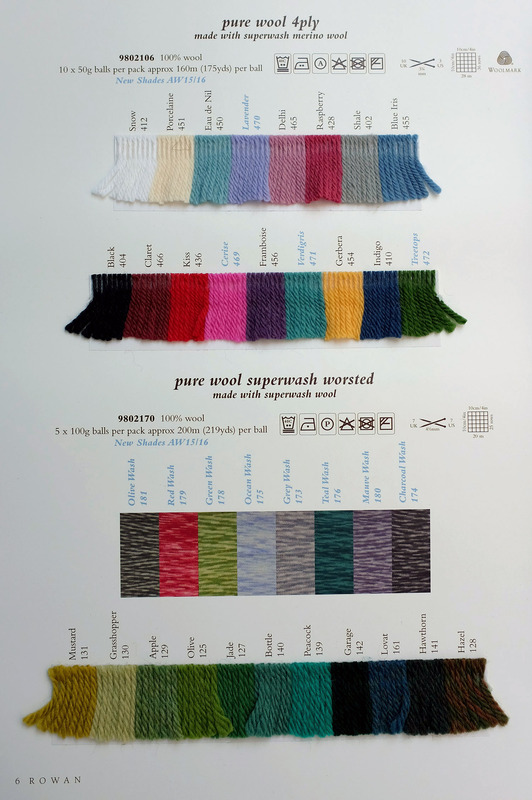 100% Super wash wool. (per ball) Approximately 160 metres (176 yards) per 50g ball. Machine washable. 8 designs by the Rowan design team knitted using Pure Wool 4ply.